Last changes May 6, 2006 What'snew? You are visitor No. ; since this site was created in April 1999! from a distance of 2242 km! to the homepage of Holger 'Geri', DK8KW (W1KW) .I have collected some information on the new amateur radio longwave band between 135.7 and 137.8 kHz. SeveralEuropean authorities have allocated this band to the amateur radioservice based on the CEPT/ERC Recommendation 62-01 E (Mainz 1997). Besides this, certain British stations may usethe frequency range between 71.4 and 74.4 kHz . 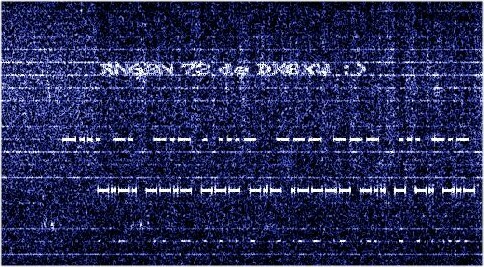 There is also an experimental allocation of a range between 8.9 and 9.0 kHz inGermany, available with a special license. A range of 7.0 to 8.5 kHz wasallocatedin Sweden on request. Other countries do not require a licensefor frequencies below 9 kHz. I will update this page from time to time, whenever I have got something new. Spectrogram Pictures some Spectrogram Picturesof stations I received between 137.600 and137.800 kHz. DI2BO DI2BO is an experimental radio station operating on 440 kHz. Also Walter, DJ2LF operates an experimental station on the same frequency under the callsign DI2AG. If you like Folk Music, then havea lookhere!